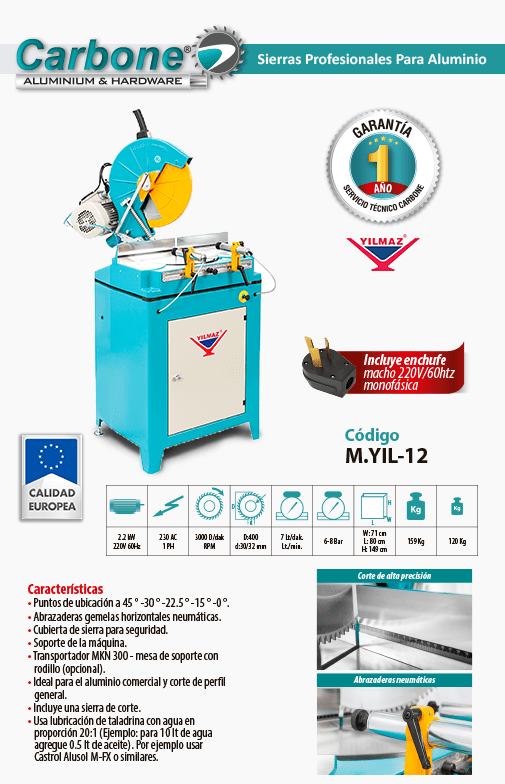 Carbone Costa Rica presents its line of aluminum and PVC machines of European quality and its accessories in Costa Rica. The KD 400PS Pneumatic Miter Saw for Commercial Aluminum and General Profile Cutting, Twin Horizontal Pneumatic Clamps and Includes Cutting Saw. Includes single-phase 220V / 60hz plug. 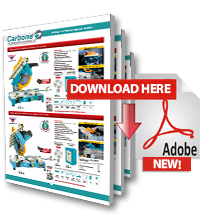 Carbone Costa Rica we present our new line of aluminum and PVC machines of European quality, you can find a great variety of machinery, like the KD 400PS Pneumatic Miter Saw.